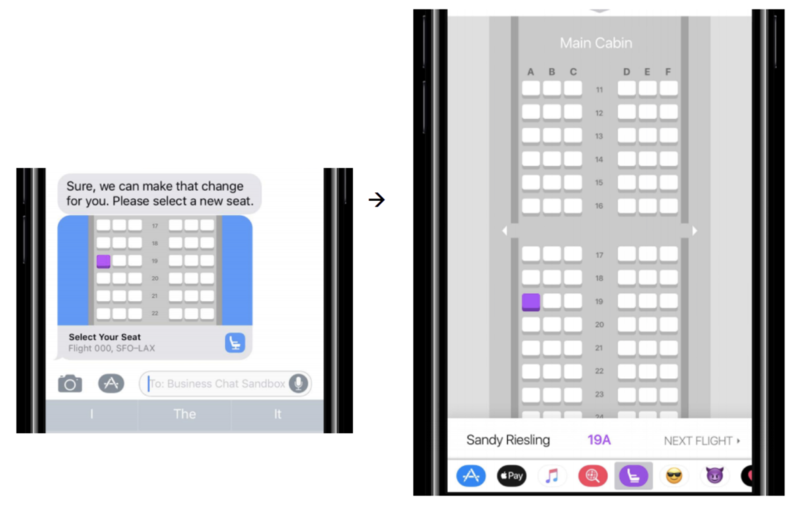 Recently we posted a couple of insights on how Apple 2017’s software and hardware (Insight) and hidden iOS 11 features (Insight) that will enhance traveller experience. We will use this new instalment to highlight the new Business Chat feature that could disrupt the way travellers and businesses would interact with in the future. 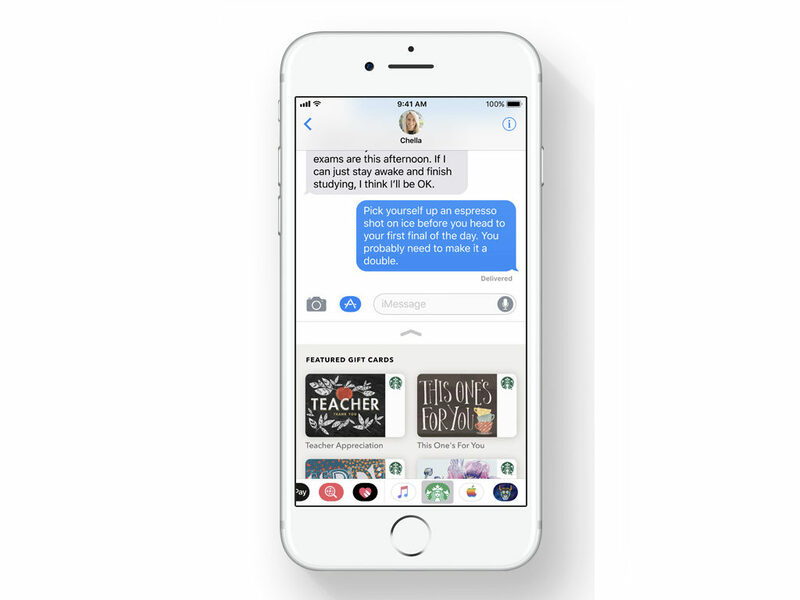 Messages is a default communication application in the iOS ecosystem and has been in place since the iPhone’s introduction almost ten years ago. It evolved from a simple SMS tool to a full on interaction platform with its own app store that includes applications, stickers, and games. In an earlier iOS 11 insight, we highlighted a new feature that allows users to transfer cash or send gift cards. 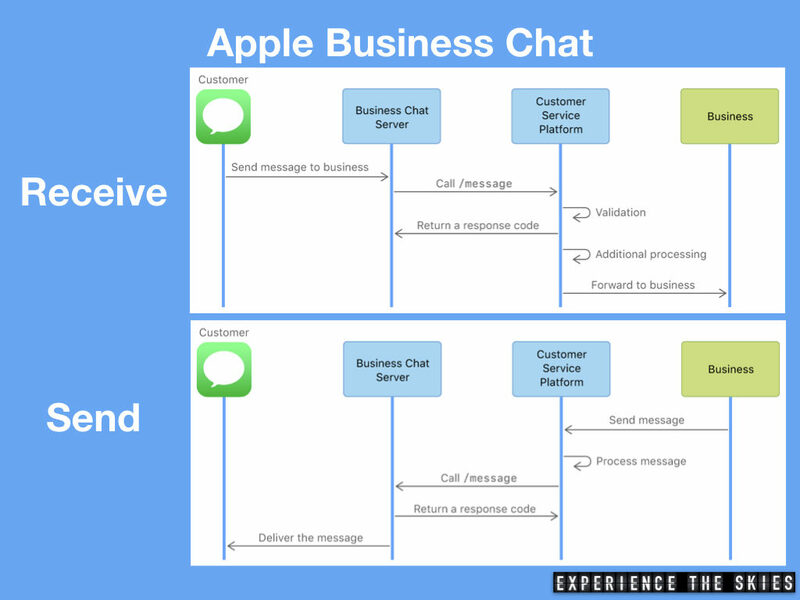 While the use case above describes personal interactions, the new Business Chat feature extends the concept by allowing businesses to interact with customers directly inside the Messages application. This method of communication enables users to quickly engage a live person or a bot for answers to questions, resolve issues or complete transactions using the iPhone, iPad or Apple Watch. iOS 11.3 beta 1 released on January 25, 2018 is the first to include the Business Chat feature. The release included instructions on how companies can set up their in house or off the shelf chat applications* to build an interface that can receive and send communications (with attachments and rich content). *LivePerson, Rocket.Chat, Genesys, Nuance and Saleforce Service Cloud are some of the off the shelf Customer Support Platform (CSP) vendors that will work with Business Chat. In particular, Genesys is noted for counting airlines – Emirates, Air Transat and reservation giant – Sabre as clients. In the following example, a passenger is interacting with an airline to change a seat for a flight from SFO-LAX. Payment would be collected as required in real time and the passenger’s itinerary would be automatically updated within the Calendar and airline’s own application. 1. Efficiency – Response may be instantaneous and overall interaction time can be reduced dramatically when compared with phone inquiries. Users would not have to encounter voicemails, long waits on the phone, following email chains or search through a website just to get simple questions answered. Timeliness in receiving responses or resolving issues generally plays a large role in customer satisfaction scores. The instant response feel can improve that expectation. 2. Familiarity – while many businesses use an automated phone system to guide users through many troubleshoot options, it may sound unfamiliar, unclear and requires a clear phone connection. This is especially problematic when there are too many options or the language used by the automated system is not the same one used by the user. 3. Personal – Users sent billions of messages annually and have a natural feel communicating this way. Business chat aims to generate the same personal feel to users. 4. Monitoring and Improvement – companies can use the interactions to build trend analysis and find out common complaints that may require a change in process. 5. Staff Training – with Business Chat, many canned questions could be answered by a bot. Businesses could spend its resources on training staff to respond to higher priority issues or managing more complex inquiries. The major drawback of Business Chat is the proprietary nature of the Messages application which shuts out all other mobile operating system or chat application access to the API. This will limit access to electronic devices on the iOS platform initially. Similar to iTunes, Apple might chose to publish the application in other systems in the near future to gain wider user engagement. iOS 11.3 beta 2 and 3 released on February 6 and February 21 respectively did not include new functionalities or significant bug fixes to Business Chat. 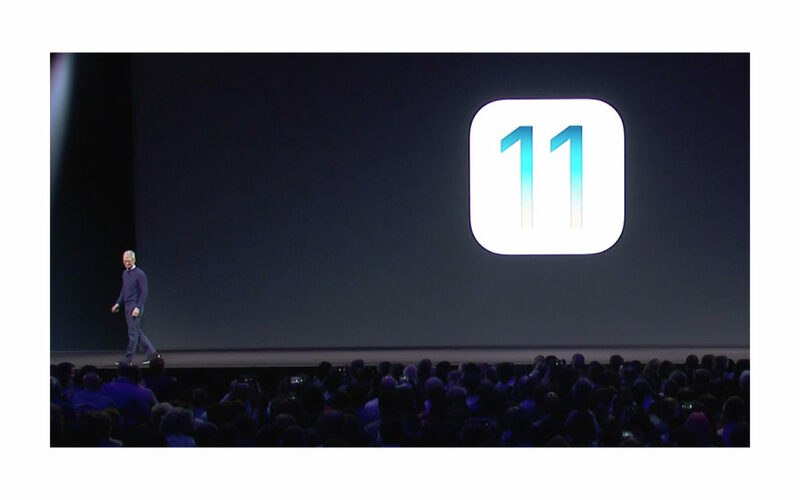 It is expected that three more beta releases will be issued and the final release will be rolled out to eligible iOS users in April 2018. We will continue to update this post with new information on releases. In the next part of the series, we will key competitors to Business Chat and how the travel industry has embraced them so far. Delta Air Lines is the first to implement Business Chat in a limited basis. Other airlines and airports are working to bring this on board in the near future.